Before committing to Naval by Sherwin Williams for my front door, I scoured the web for inspiration. It took me a while to decide whether to stick a shade of blue (like I already had) or to go completely crazy and opt for bright yellow or red. In the end, I stuck to blue because the shutters, which are blue too, are so close to the door that I thought a wildly colorful shade might compete too much with them. I absolutely love the shade of blue I chose, so I can’t complain! I now present to you some of my favorite Pinspiration! I have compiled all my colorful favorites onto a Pinterest board for you to enjoy! Maybe you’ll be a bit more adventurous than me and go with one of these lovely colors for your door. 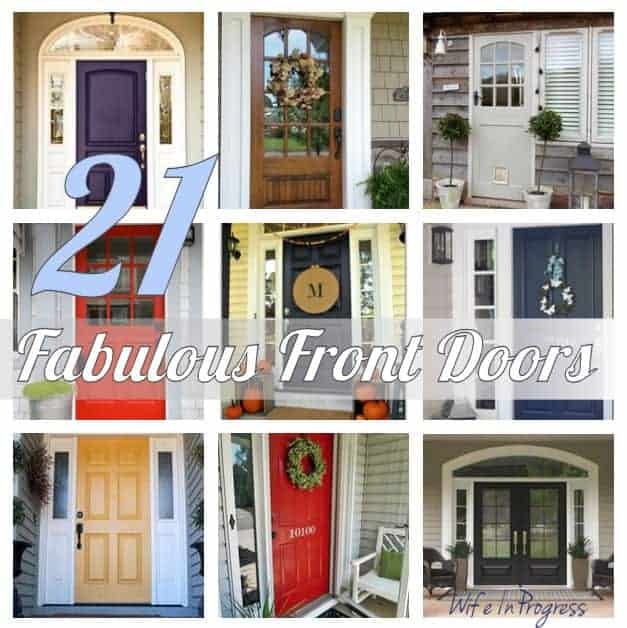 If you have a front door that you’ve recently repainted, leave a comment below for everyone to check out!